Cyprus is a tranquil island strategically located in the heart of Europe but at the crossroads of three continents - Europe, Asia and Africa. Cyprus benefits from a European outlook, with a mediterranean warm relaxed climate. Cyprus has a favourable tax regime which makes it one of the top relocation destinations in the world. Cyprus has been a member of the European Union since 2004, and a Eurozone member since 2008. Permanent Residency under this programme grants the right to travel within the EU with minimal visa requirements and may be considered to be the first step towards gaining Cyprus Citizenship. In 2019, High Net Worth Immigrants can apply for a Cyprus Permanent Residency permit through a simple and fast property investment in an apartment or villa anywhere in Cyprus, including Larnaca, Limassol or Paphos! Apply for the Cyprus Golden Visa Residence Programme and seek Cyprus Immigration assistance Now! The Cyprus government intends to increase foreign investment in Cyprus through the Residence by Investment Programme to enhance economic development. 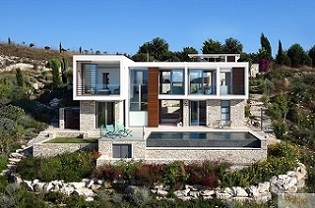 Invest 300,000 EUR + VAT, in the purchase of a new property in Cyprus. Open a bank account in a Cyprus local bank, and maintain a 3 year fixed deposit of 30,000 EUR (excluding VAT, if applicable), during which period the interest can be accrued on such deposit, with interest rates ranging from 3-3.5% on average. The minimum joint annual income of the principal applicant and his/her spouse is 30,000 EUR, and another 5,000 EUR for each additional applicant, such as each child, and 8,000 EUR for each dependent parent. The applicant must purchase Personal Insurance (about 185 EUR per person, per annum). All applicants over the age of 16 years are required to comply with the 'Fit and Proper Test', and provide non-criminal records issued by their country of residence. Cyprus Law Firm - We partner with experienced and specialised Cyprus Lawyers, working in reputable Cyprus Law firms, who are registered with the Registry of Service Providers of the Cyprus Investment Programme, and adhere strictly to the provisions of the Code of Conduct, effective from June 2018. European Union (EU) - Visa Free travel within European countries for non-EU nationalities. 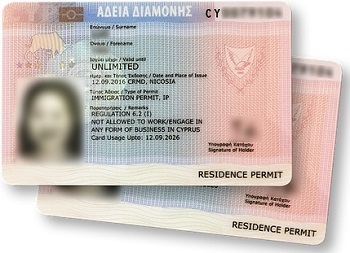 Residency Permit - Cypriot Government has simplified the process to get issued with a Permanent Residency Permit. No Renewal of Residency Required - Permanent residency permit does not need to be renewed, it is permanent and there is no need for future reconsideration. 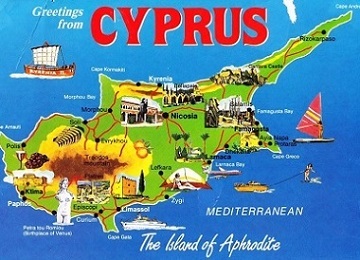 Cypriot Passport Eligibility - Cyprus Permanent Residents have the right, subject to meeting conditions, to apply for a Cypriot passport following their physical presence for a total of 5 years within a 7 year period. Healthcare and Education - Residents can benefit from high quality Cyprus healthcare and excellent standard of education at International Schools and British Universities, based in Cyprus. High Safety - Lowest crime levels in Europe. Business in Europe - Business opportunities are available for free trade to over 500 million EU citizens. Fast Processing Time - Permanent Residency by Investment is usually approved in around 2 months processing time, after evaluation of the application by the Cyprus Civil Registry, the Migration Department and the Ministry of Interior. Schengen Visa - Eligible to apply for a 1 year Schengen visa in any European Embassy. No Residence Requirements - Only need to visit Cyprus every 2 years. Visa Free Travel To Cyprus - Travel Visa Free, with multiple entry to Cyprus on the Permanent Residency Permit. Low Personal and Corporate Tax rates - Cyprus has the lowest personal and corporate tax rates (12.5% Corporate tax rate) in the EU, as well as double tax treaties with more than 60 countries, including: Ukraine, Russia and China.